The genesis of Race Chaser Online actually took place in 2001 when Senior Editor Tom Baker formed a partnership with a news group in Central New York State to put together a motorsports news site called Inside Groove, aligning it with Baker’s motorsports talk show based in the Syracuse area. Though it was only online for two seasons, Inside Groove quickly became a focal point for race coverage across the Empire State. The same passion, drive and determination to provide interesting, energetic and unique content that went into that site was recalled when creating Race Chaser Online. Throughout the past 28 years, Baker has successfully served the motorsports community in several capacities, including track promoter, writer, broadcaster, marketing and public relations specialist, driver coach and spotter, and returned to his journalistic roots in May of 2013 (he started writing for his local paper in 1988) as the CEO and Senior Editor for Race Chaser Online. As a way of “giving back” and also of focusing on the future of motorsports, Race Chaser Online and its wireless mobile radio station — the Performance Motorsports Network — specialize in telling the stories of those who are climbing the racing ladder and highlight both the national levels of NASCAR and IndyCar as well as the niche divisions of the sport, including Australia’s Supercars Championship, the mighty supermodifieds, Legends cars, go-karts and even online sim-racing, including iRacing’s NASCAR PEAK Antifreeze Series! Making this story even more unique, Baker has assembled — for the second time in his media career — a staff of inexperienced but surprisingly knowledgeable young racing journalists with a desire to learn the business and work in the sport, and he is providing the coaching and mentoring to help them take advantage of the opportunity to display their talents and skills to a worldwide audience. Jacob Seelman is a Journalism major at Winthrop University in Rock Hill, S.C. Seelman, whose grandfather Bob raced sprint cars, supermodifieds and midget cars through the 1960s, 70s and 80s, serves as the RCO Managing Editor, helping to lead the team and keep the site organized and fresh each day. The third-generation racing family member contributes a large portion of the content and serves as co-host of two of PMN’s wireless mobile radio shows on Monday and Thursday nights. Oh, by the way — he does all of this while serving as the announcer for the Midwest-based Must See Racing Sprint Car Series! Steven Ovens is our Northeast/national dirt track specialist and the co-host of Turn 5 Live, one of PMN’s wireless mobile radio shows. Ovens also serves as an Editorial Assistant and was the part-time producer for our radio shows in the past. His dirt track segment on our Monday night Motorsports Madness show covers everything from the big-block modifieds of the Super DIRTcar Series to the World of Outlaws Sprint Car Series. 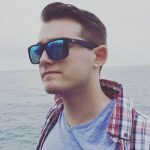 Kyle Souza is a third-year Journalism major at Roger Williams University in Rhode Island, a New England motorsports insider and works at the Seekonk Speedway as the track’s Friday night public address announcer. He also serves as the media director of the Tri Track Open Modified Series and Granite State Pro Stock Series during his time out of the classroom. Souza dishes the dirt about New England racing on Thurday nights on the Performance Motorsports Network, chiming in as a regular contributor to the Stock Car Steel/SRI Motorsports Show, and covers everything from the NASCAR Whelen Modified Tour to the super late models of the Pro All Stars Series. James Pike is a graduate of Belmont-Abbey College’s Motorsports Management program and a fanatic about Australia’s Virgin Australia Supercars Championship. Bringing that unique content to Race Chaser’s audience and to the Monday night Motorsports Madness show, Pike also maintains strong thoughts and analysis on the NASCAR set, chiming in during that segment each week as well. Pike grew up in the Winston-Salem area of North Carolina, in the shadows of the legendary Bowman Gray Stadium, and is an avid supporter and follower of short track racing in addition to his time spent covering motorsport across the oceans. Rence Brown is Race Chaser Online’s West Coast-based correspondent — hailing from Calabasas, California — and a leading Editorial Assistant for the website, as well as a regular co-host on both of PMN Radio’s flagship shows, Monday night’s Motorsports Madness and Thursday night’s Stock Car Steel/SRI Motorsports Show. Brown’s passion and regular focus lies with NASCAR’s three national series and family of regional touring series, but he has also covered numerous other sanctions and types of motorsports during his short tenure with the website, including IndyCar and Formula One. 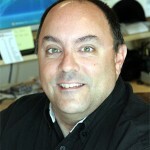 He provides a weekly column for the website as well as assists with session-by-session NASCAR coverage during the weekend. 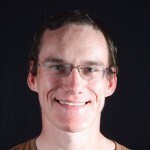 Ethan “Speedy” Butler is Race Chaser Online’s Plains Region correspondent, residing in West Burlington, Iowa — just down from Knoxville Raceway, the ‘Sprint Car Capital of the World’ — and aiding in the site’s sprint car databanks from ‘The Heartland of America’. Butler is both an avid dirt track and NASCAR fan, who spends his time away from home at one of the many local dirt tracks in the area, out on the lake fishing, or in the shop shaping up his next woodworking project. He has spent time as a marketing intern and flagman at 34 Raceway, one of the charter tracks for the FVP National Sprint League founded by Tod Quiring. Butler is currently pursuing a bachelor’s degree in marketing at the University of Northern Iowa. Marshall Gabell is Race Chaser’s youngest writer at just 16 years old. 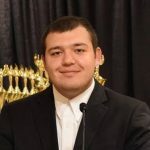 His natural talent for writing (which belies his age) and passion for racing have led him to craft multiple stories for our site, and he enjoys assisting our other staff members whenever he can as he learns the leadership skills and the particulars of writing and editing a good story. 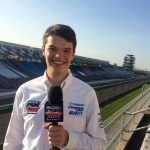 Joel Sebastianelli, a Rhode Island native and graduate of the University of Florida’s Broadcast Journalism program, knows more about IndyCar and Formula 1 than anyone on the planet not named Foyt or Schumacher should! Tagged as our “resident wine and cheeser”, Sebastianelli was the lead voice of our Open Wheel Central segment on our Monday night Motorsports Madness show from 2013 to August of 2016, and also formerly served as both the leading host for Mazda Road to Indy TV and track announcer at Seekonk Speedway. Sebastianelli has used Race Chaser Online’s platform as a springboard to move up the ladder, and now serves as the weekend sports anchor at WJHG-TV in Panama City Beach, Florida. 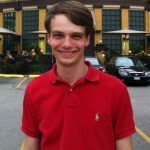 Kyle Magda is a graduate of Penn State University’s Journalism program and was the former Associate Editor for Race Chaser Online. Magda covered several varied events for the website, including NASCAR’s annual stops at Watkins Glen International and Pocono Raceway, as well as NHRA’s playoff stop in Reading, Pennsylvania. Race Chaser Online’s pages will be updated as news happens and fresh content is always being sought from around the nation and beyond so check back daily for the latest in passionate motorsports coverage from around the racing world!